For me the highlight of the trip was a visit to St. Petersburg where we had a massive amount of history to view in just three days. I became an avid Netflix user two months earlier, renting as many films as I could on Catherine the Great, Czar Nicholas II, Rasputin, and of course several volumes of documentaries roaming through the Hermitage Museum (still looking at those DVDs). There is a plethora of information on St. Petersburg with a huge focus on the 18, 19, and 20th centuries history – actually too much to read/view before I left on the trip – but I did give it a valiant try! 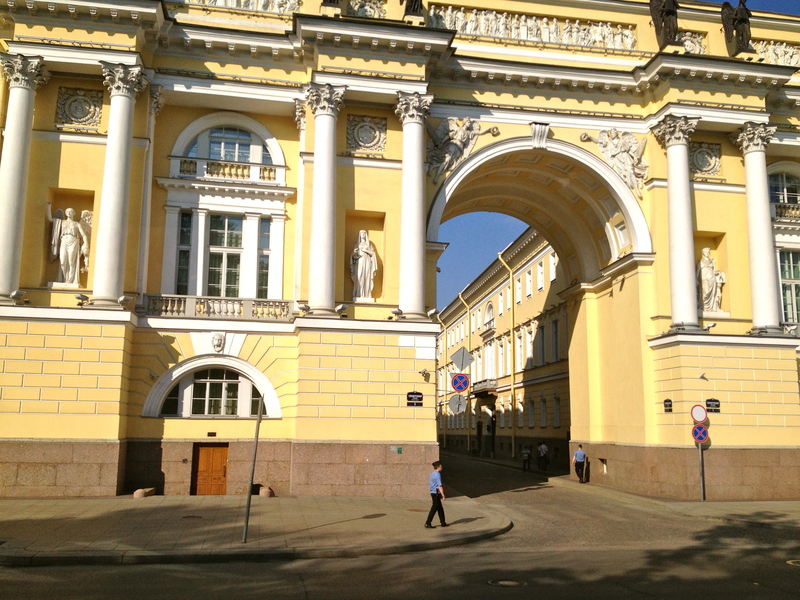 The Winter Palace (the summer residence of the Imperial Family) is quite large, but somewhat unassuming from the outside in its yellow and white façade. It is one of four buildings that house the Hermitage Museum (#6 Bucket List) and displays some of the most unusual and splendid works of art in the world. And a lot of gold – I mean tons of it! 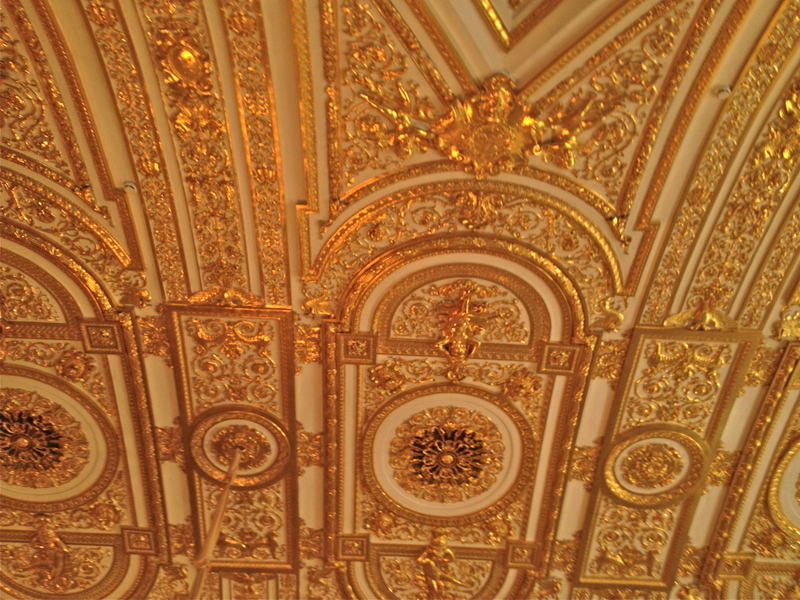 The Gold Room – two shots of the ceiling – this museum has more gold than Fort Knox! 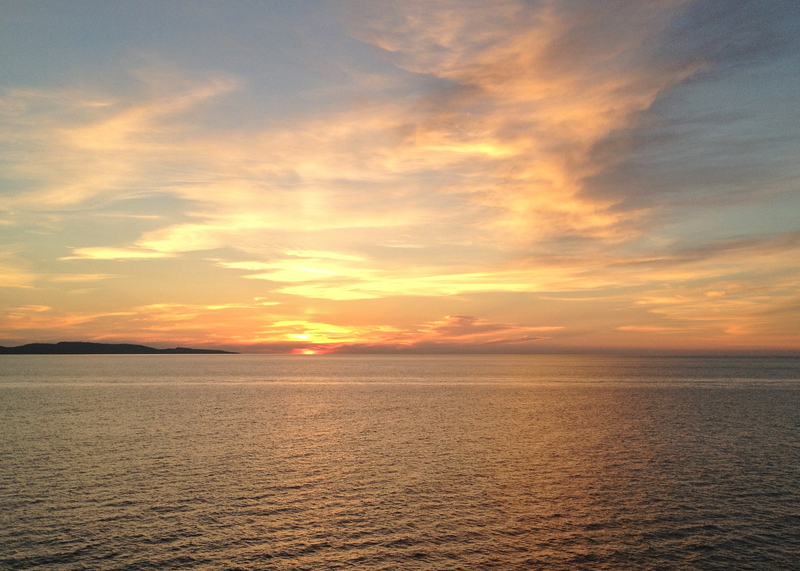 They don’t call them White Nights for nothing – this photo was taken around 2:30am when the sun was just starting to set! 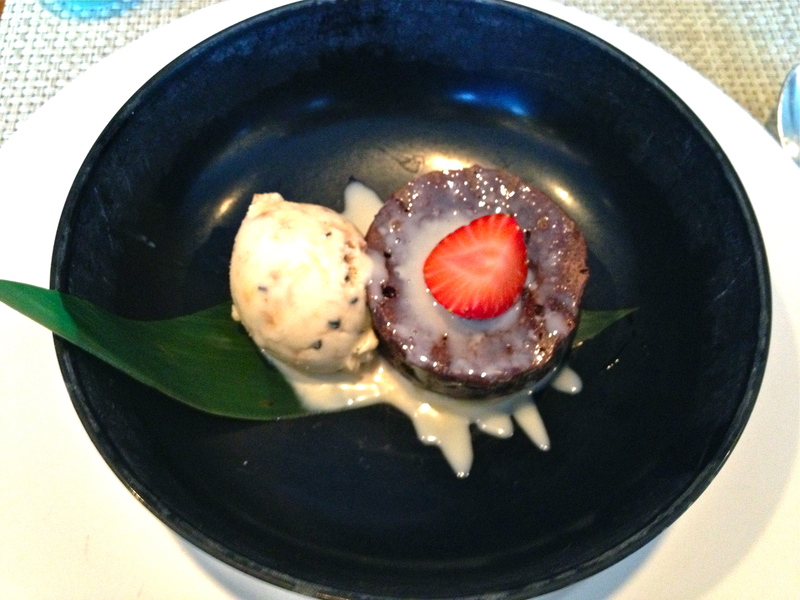 Chocolate Nougatine – Chocolate Nougat Mousse with Mocha Sauce Anglaise and Vanilla Ice Cream with Hazelnuts – Yum!! How fun -you will enjoy the visit! 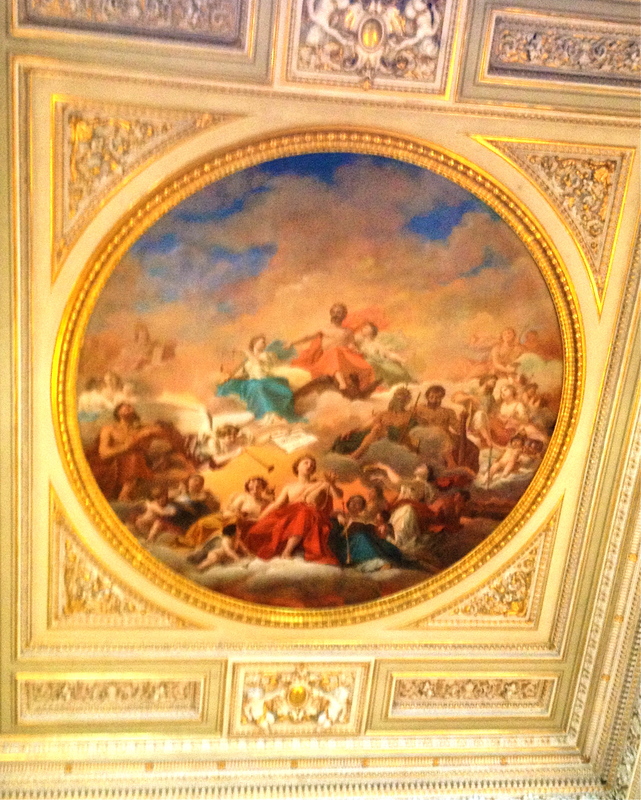 How wonderful that you made it to St Petersburg and the Hermitage! That’s fantastic! 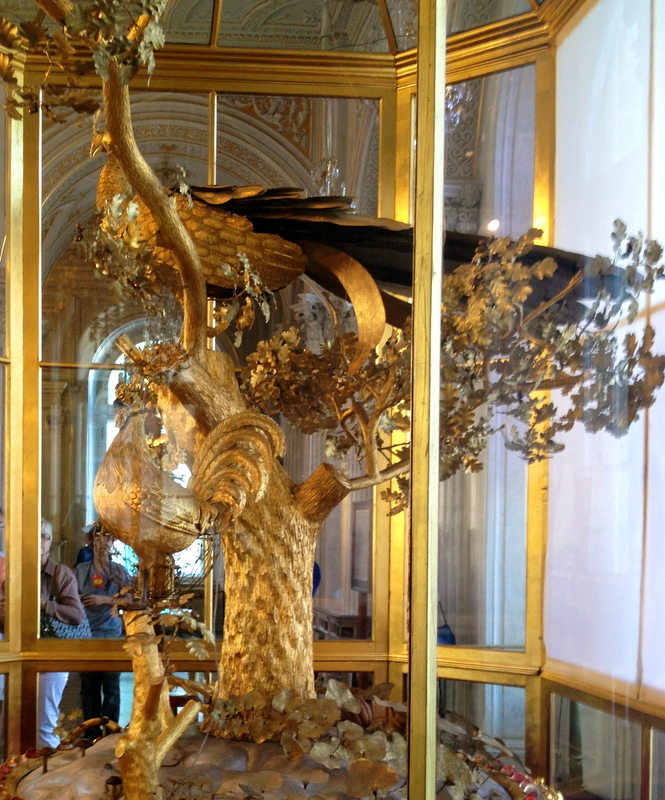 Yes – visiting the Hermitage was very exciting – didn’t get to see all of it as there is a massive amount of artifacts, but clearly saw some outstanding pieces. 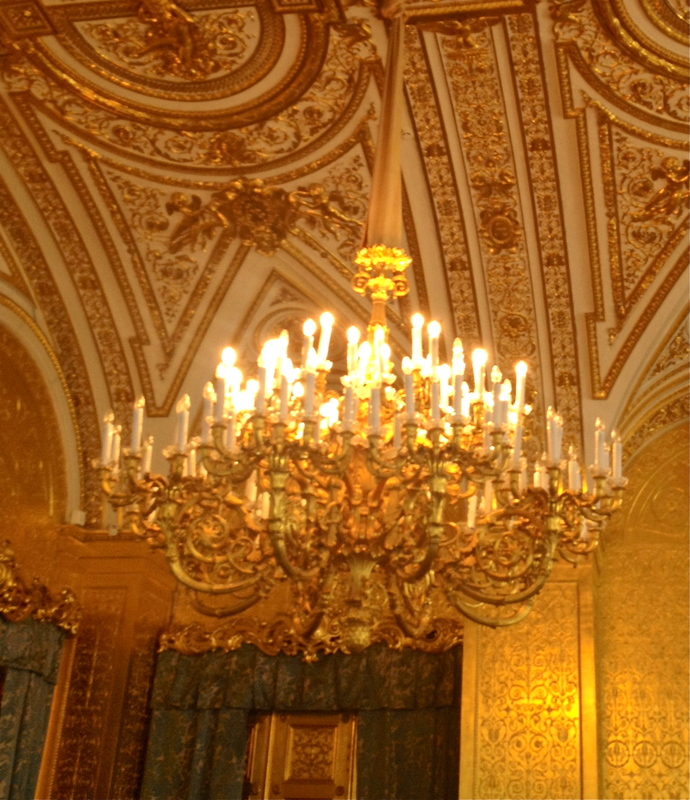 St. Petersburg is on my “must see” list if we get over that way again.